The white truffle season is coming, but climate is not helping. 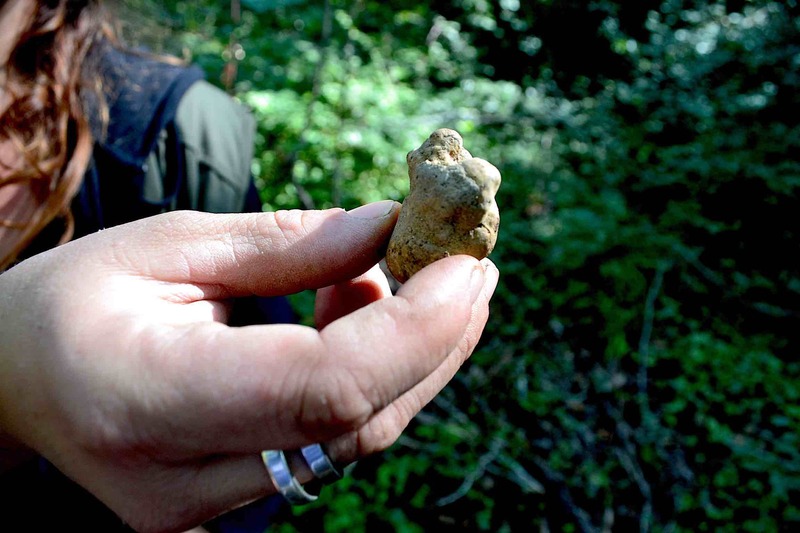 Drought in the past months threatens the growth of White San Miniato’s Truffle. Soils are too hard and dry. The precious ipogeous mushroom loves autumn moistness. The 200,000 Italian truffle hunters – yes, they are so many – they look disheartened to the ground from the sun and the already yellowed leaves of the trees. “If you go ahead with this heat and this drought,” they say, “for the white truffle the beginning of the season can only be black.” In fact, for the precious ipogeous fungus that loves autumn fogs, there is nothing worse than a dry and hard ground. The absence of rain already compromised the production of the less valuable black summer truffles. And concerns about tuber magnatum pico – the famous white truffle of San Miniato – are increasing: in Tuscany the harvest will begin on 21 September, after the usual three-week “black out” to let the land rest and continue until January 31, 2018. But for now, nothing good looks forward to. Rain is a key element to allow tuber magnatum pico the right development. In fact, it is necessary that the ground is wet both for germination and maturation. Only then, after about a month and a half you can pick a good truffle. So, for now there is a lot of apprehension among the workmen, but with the arrival of autumn rains and a milder temperature you can still recover something, especially on the side of quality. In Tuscany, the start is scheduled for September 10, in the Marche on 24 September and in Umbria on October 10. However, the forecasts are pessimistic: After the bad experience recorded with summer black, it is easy to predict that the start of the white season will be very problematic. But now, with global overheating, it’s no longer a novelty. There are those who evoke the 2007 spectrum, very poor vintage and with prices that exceeded 7,000 euros per Kg, but the truffle is bizarre, even able to reserve surprises if it ever rains. The only certainty is that the coming season will be the first with the new rules on truffles that lowered the VAT from 22 to 10% and initiates a path of greater traceability of the product by requiring, for occasional pickers, withholding tax with the obligation of reimbursement instead of anonymous self-filing, as well as the obligation to indicate the region of origin. In short: less truffles, but clearer and more secure.